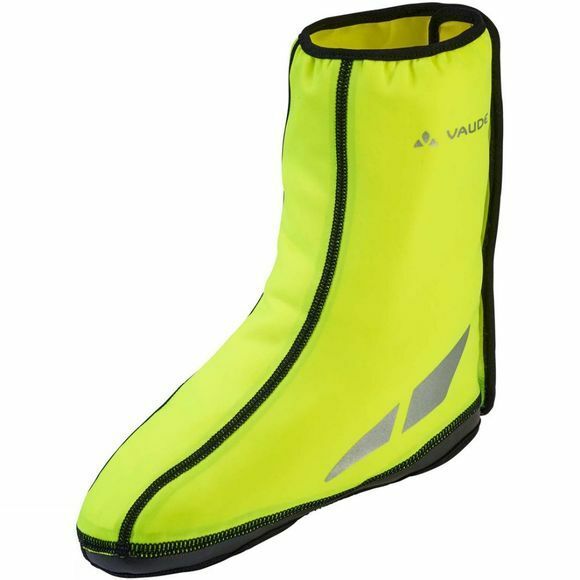 The Shoecover Wet Light III Overshoe from Vaude is lightweight with small pack size. The windproof overshoe made from water shedding primary material is excellent as back-up weather protection. Owing to Velcro closures it can be quickly pulled over; durable Kevlar trimming offers reliable abrasion protection. The Vaude Green Shape label stands for environmentally friendly, functional products made from sustainable materials.